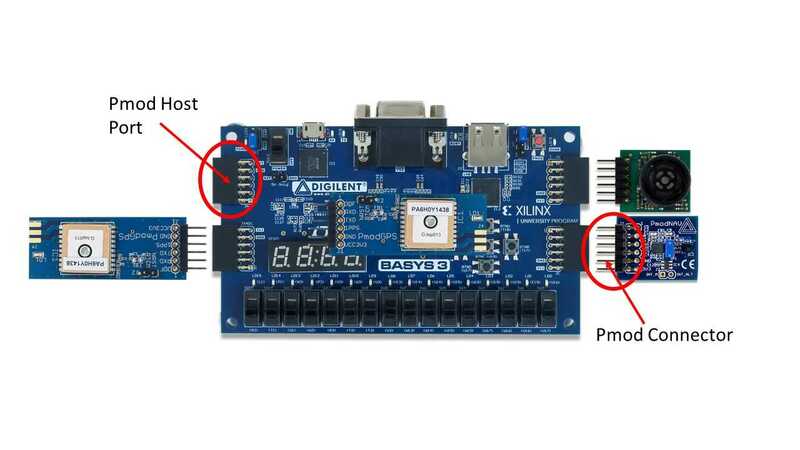 What can you do with a Basys 3 board? Battle Over the FPGA: VHDL vs Verilog! Who is the True Champ? April 11, 2016 July 11, 2016 - by Robert Prew - 6 Comments. 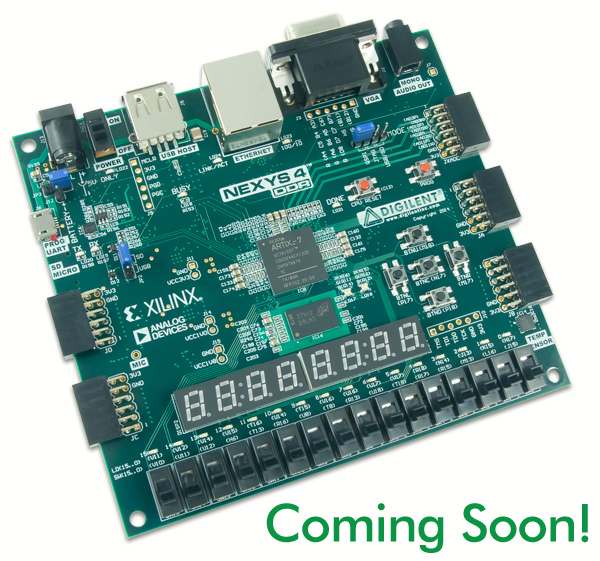 Check out the showdown between these two popular FPGA coding options! Device-locked, Node-locked Vivado Design Edition — What Does It All Mean? September 21, 2015 September 21, 2015 - by Kaitlyn Franz - 3 Comments. 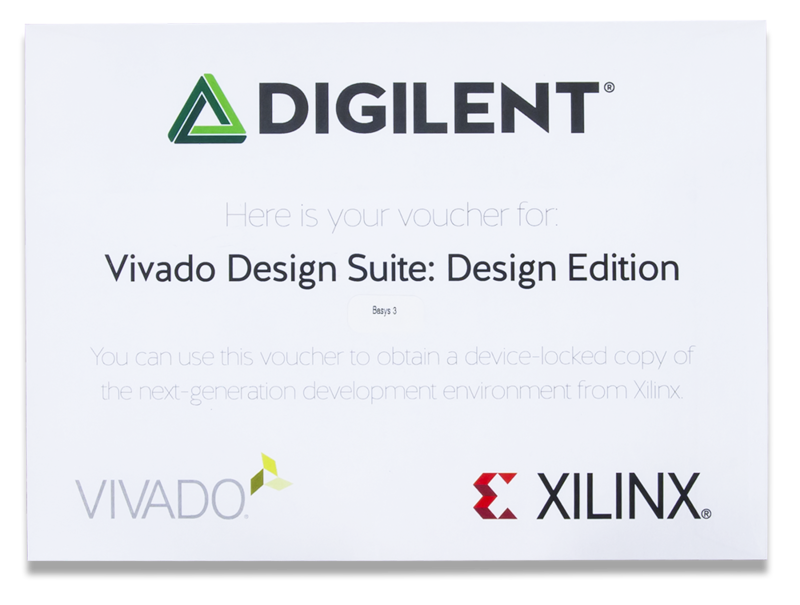 What are we talking about when we say the Design Edition of Vivado is device-locked or node-locked? 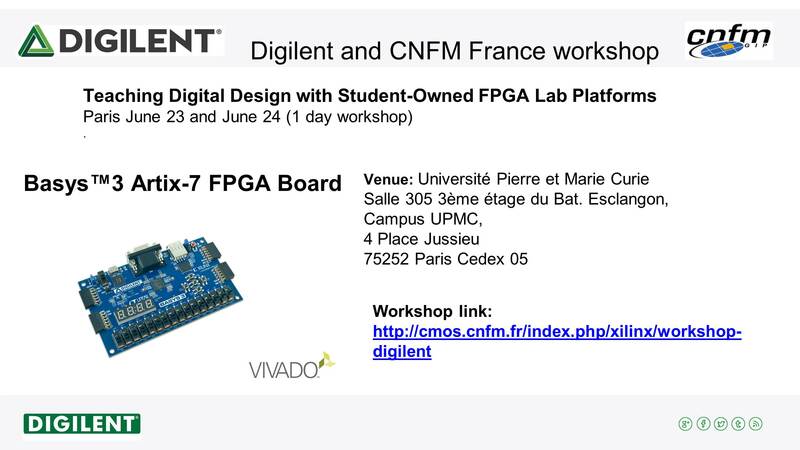 Digilent, in partnership with Coordination Nationale pour la Formation en Microléctronique (CNFM), is happy to announce the “Teaching Digital Design with Student-Owned FPGA Lab Platforms” workshop at Université Pierre et Marie Curie in Paris. 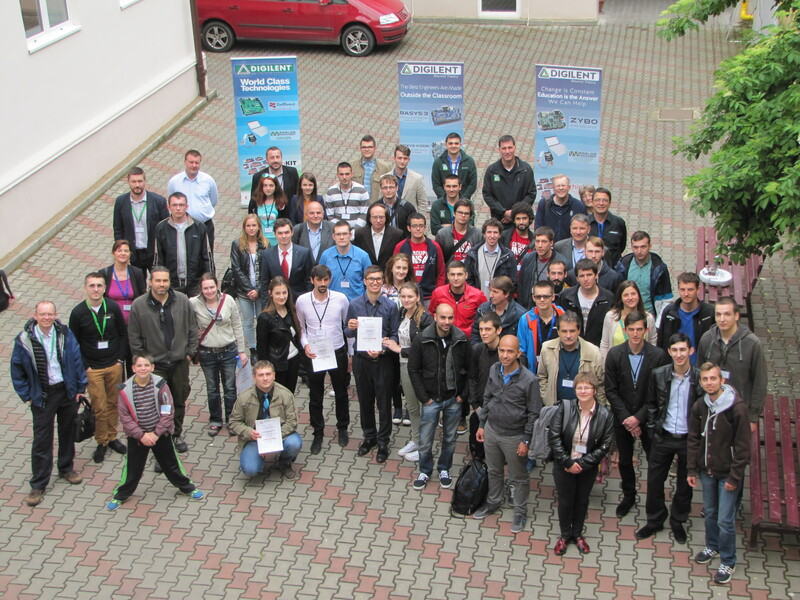 The workshop will take place June 23-24. 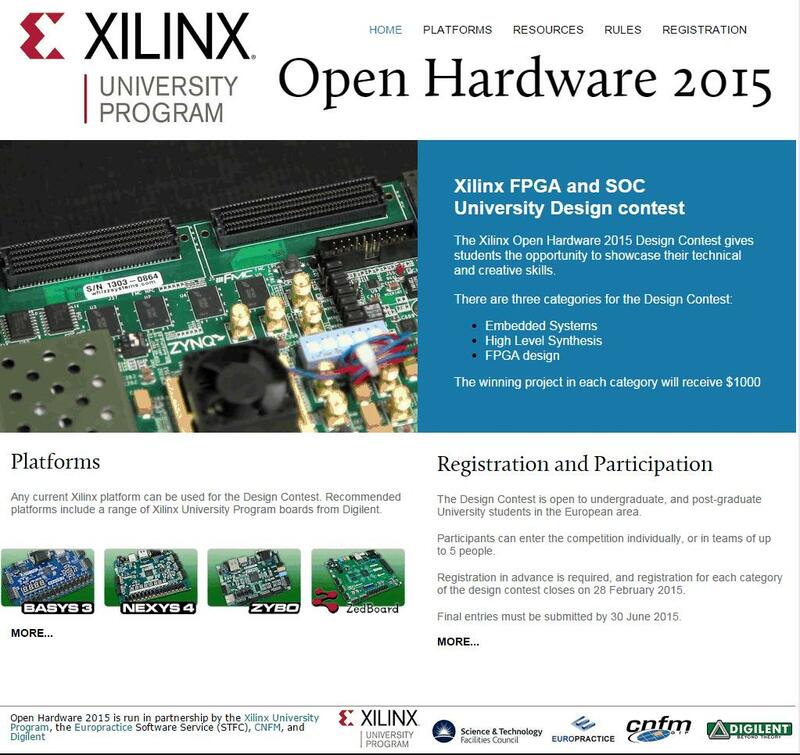 Digilent is proud to announce its partnership with Xilinx University Program, together with Europractice and CNFM, in the European section of the Open Hardware Design Contest 2015. As you learned from my previous post (the Analog Edition version of this post), we used the Analog Parts Kit and Analog Discovery in EE352 at Washington State University (WSU) to make an AM radio transmitter and receiver. 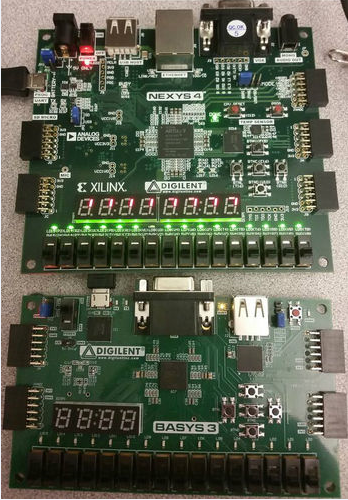 Not only do we use Digilent products in EE352, but we also used Digilent parts in EE324 (Fundamentals of Digital Systems) — the digital lab class I was taking. 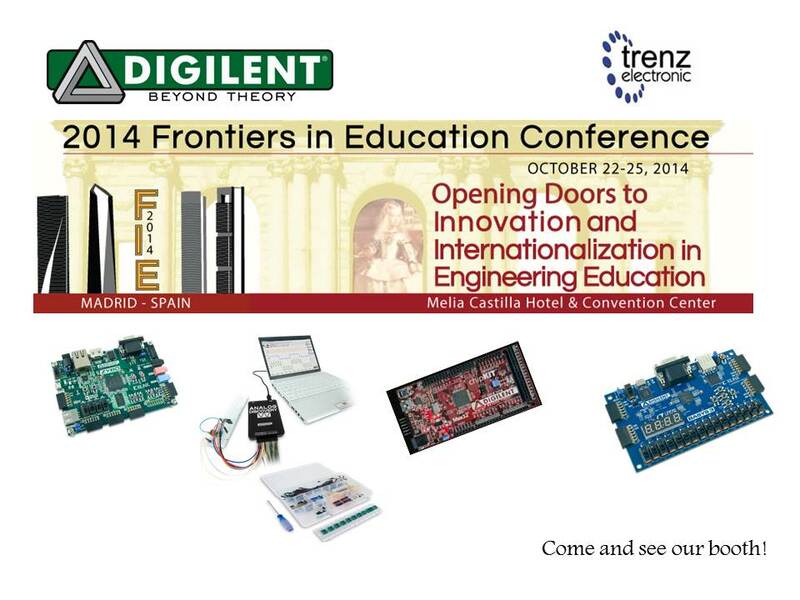 Digilent is proud to announce that together with our EU distribution partner, Trenz, we will exhibit at FIE 2014 Madrid from Oct 23-24. After 15 years, we’re still hard at work building better tools for engineering education. 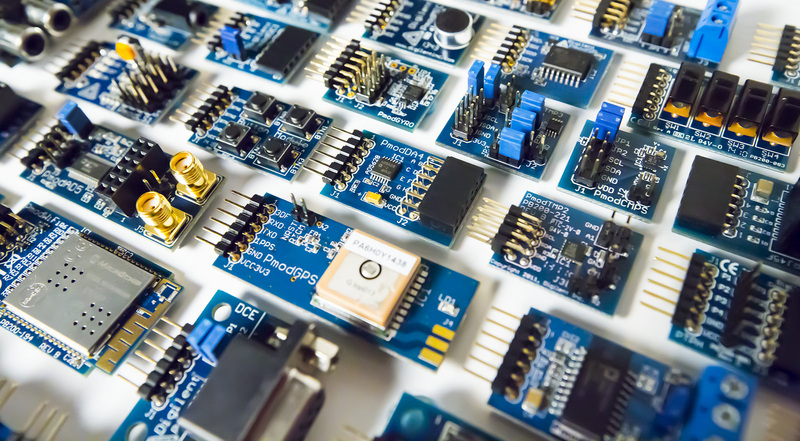 We’re working more closely than ever with leading companies like Xilinx, Analog Devices, Texas Instruments, and Linear Technology, and our shared mission is the same — to create tools and technologies that give students access to the most relevant technologies. And I can honestly say that we’re all still loving our jobs! 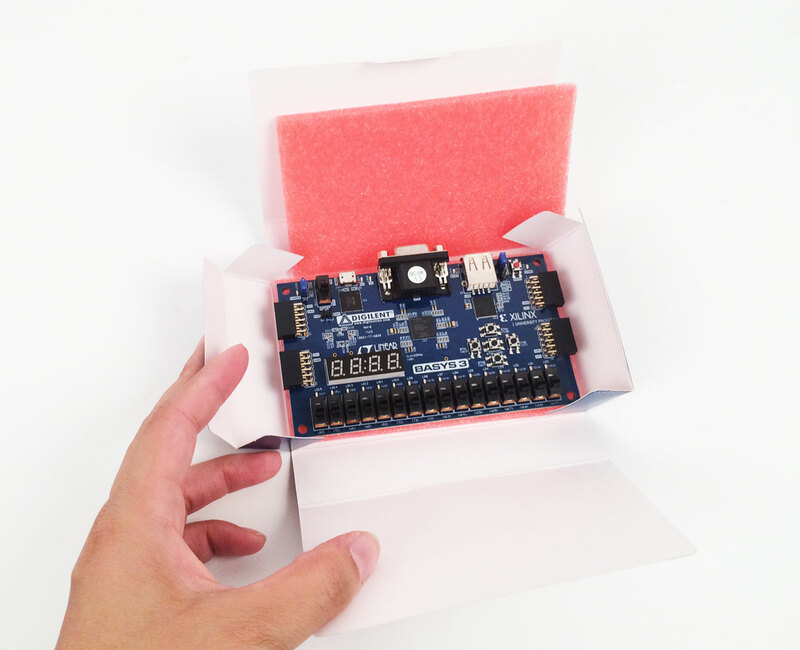 Since joining with National Instruments almost two years ago, we’ve gained access to a larger group of world-class engineers and improved our manufacturing processes, but we’ve maintained our laser-focus on producing the best, lowest-cost teaching and learning kits for engineers. 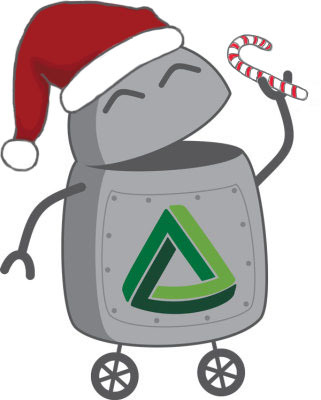 2014 has been an exciting year for Digilent! 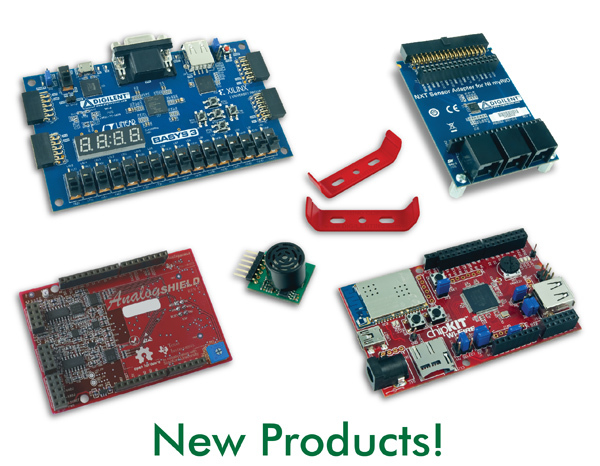 We’ve rolled out quite a few new products, and we’re excited to share them with everyone.